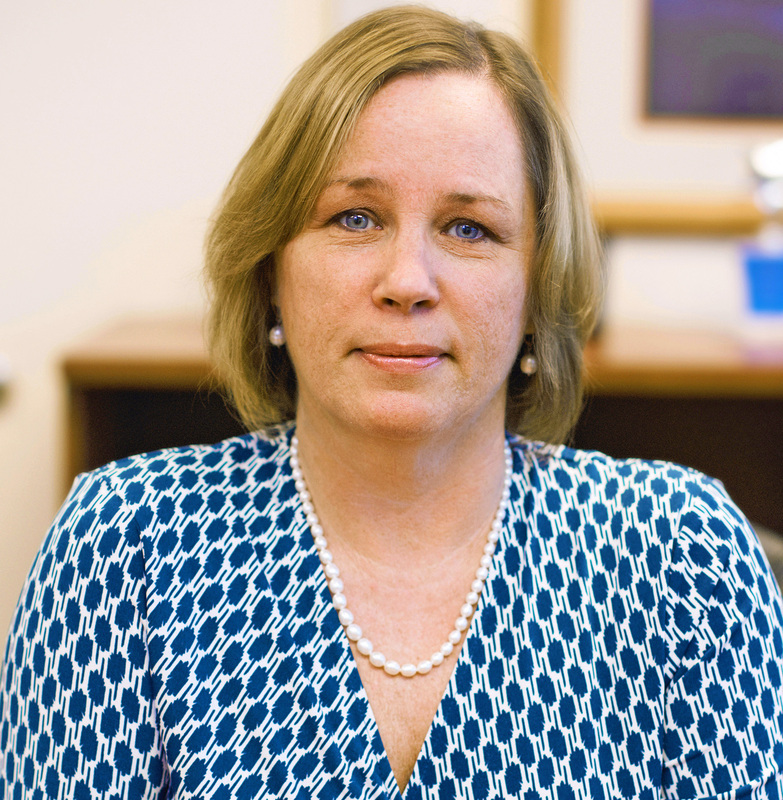 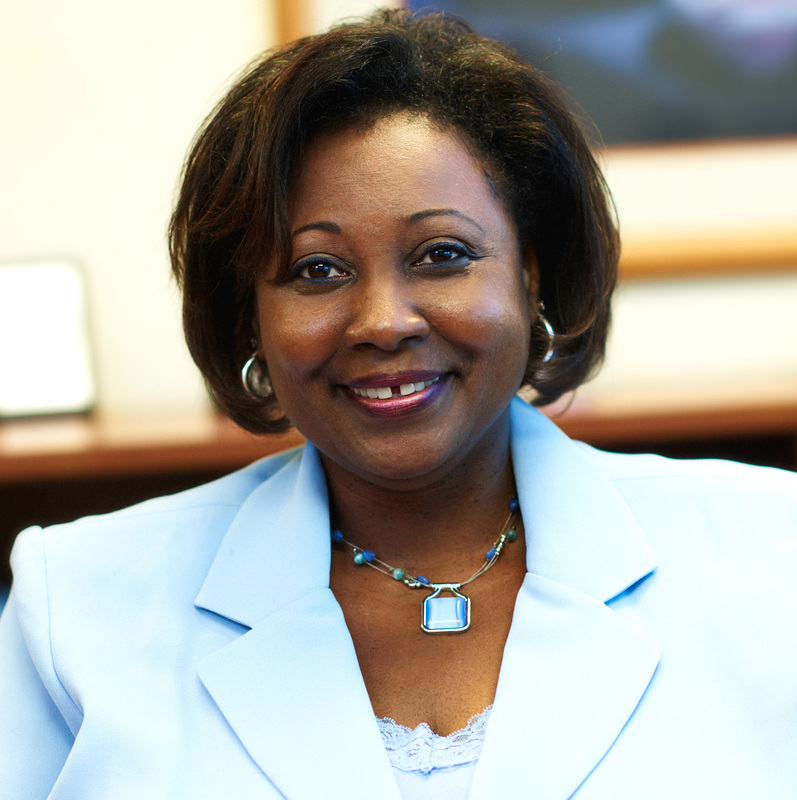 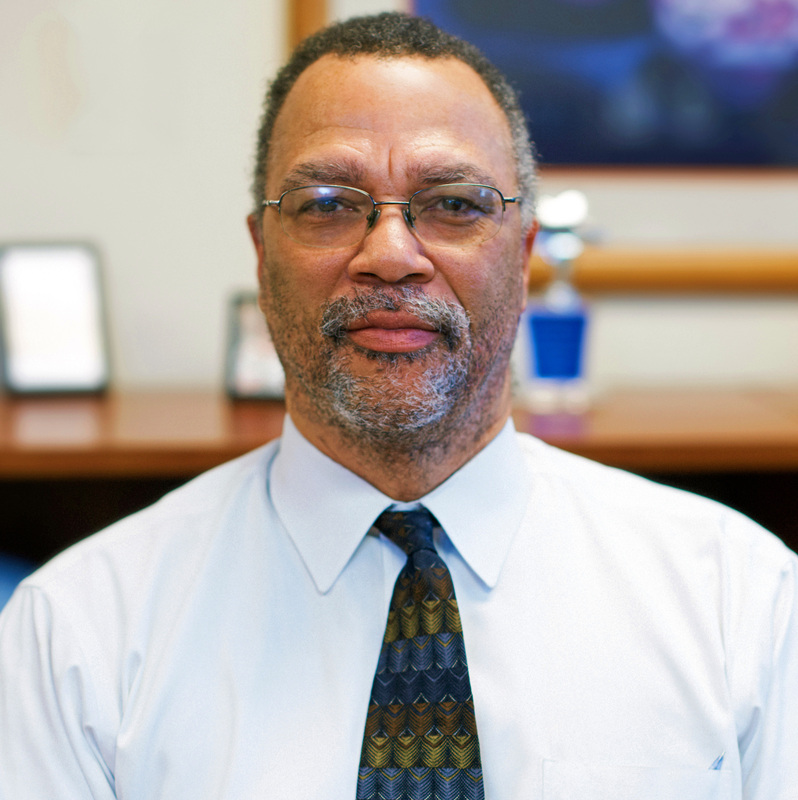 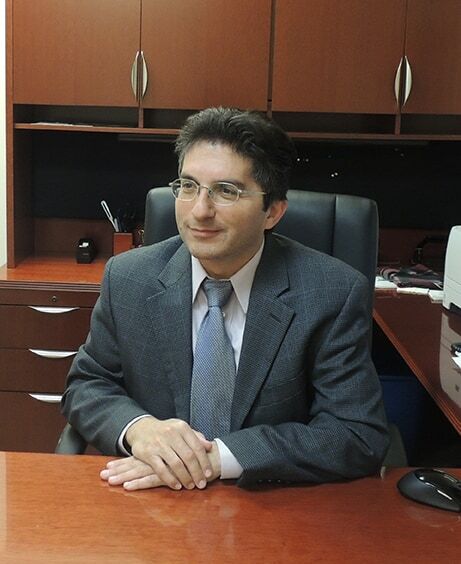 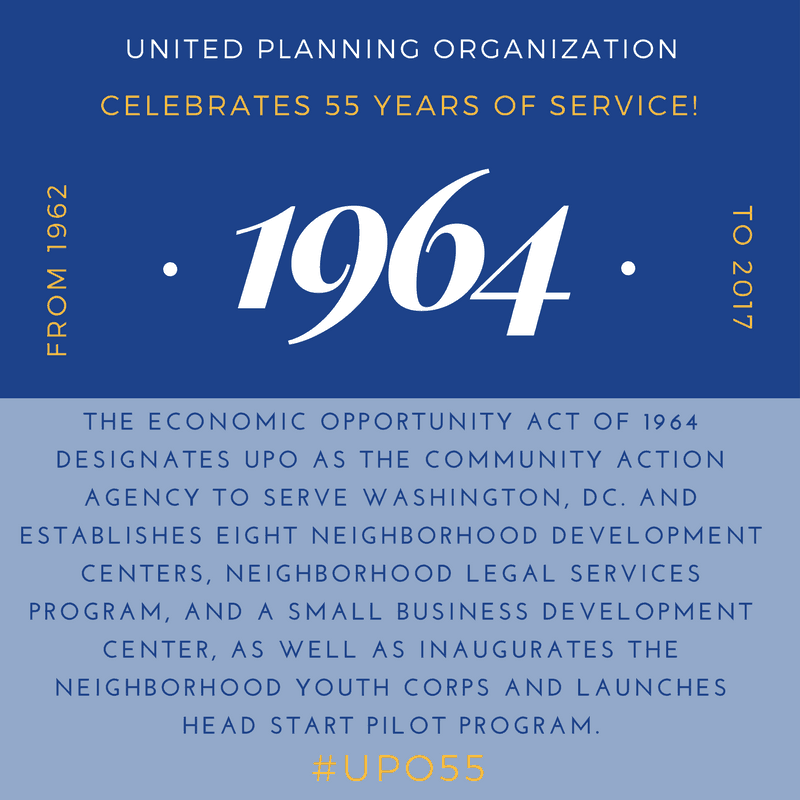 UPO’s Washington: A city of thriving communities and self-sufficient residents. 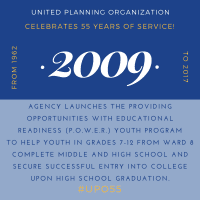 We currently offer more than 30 programs and services in such areas as early childhood education, youth development, job training and placement, health and wellness, housing, and volunteering. 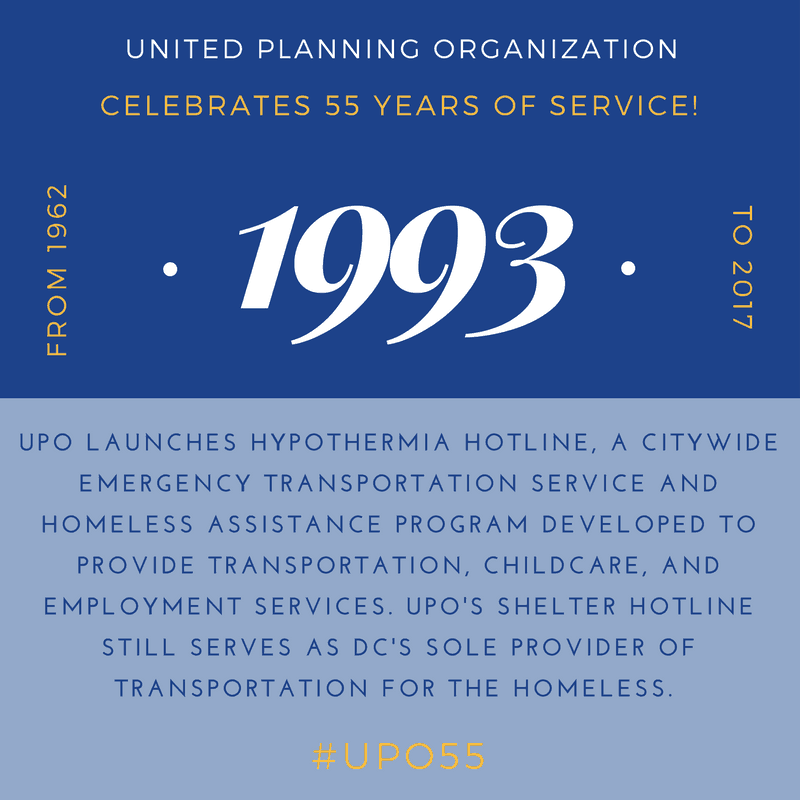 UPO is a family, and we understand the importance of supporting both individuals and the loved ones who surround them. 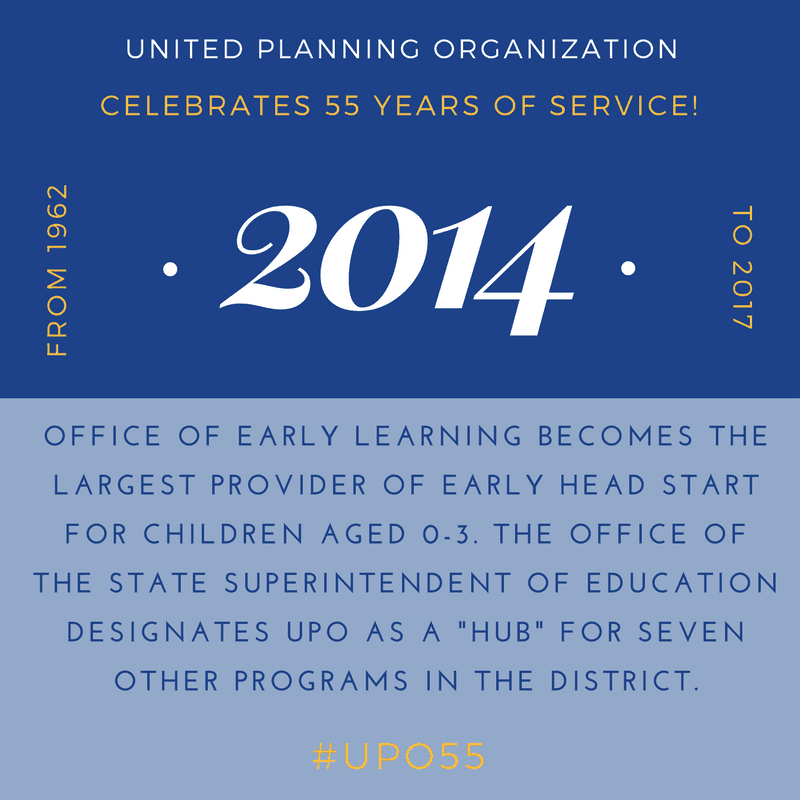 Working in and with the community, we will continue helping people get where they want and need to be. 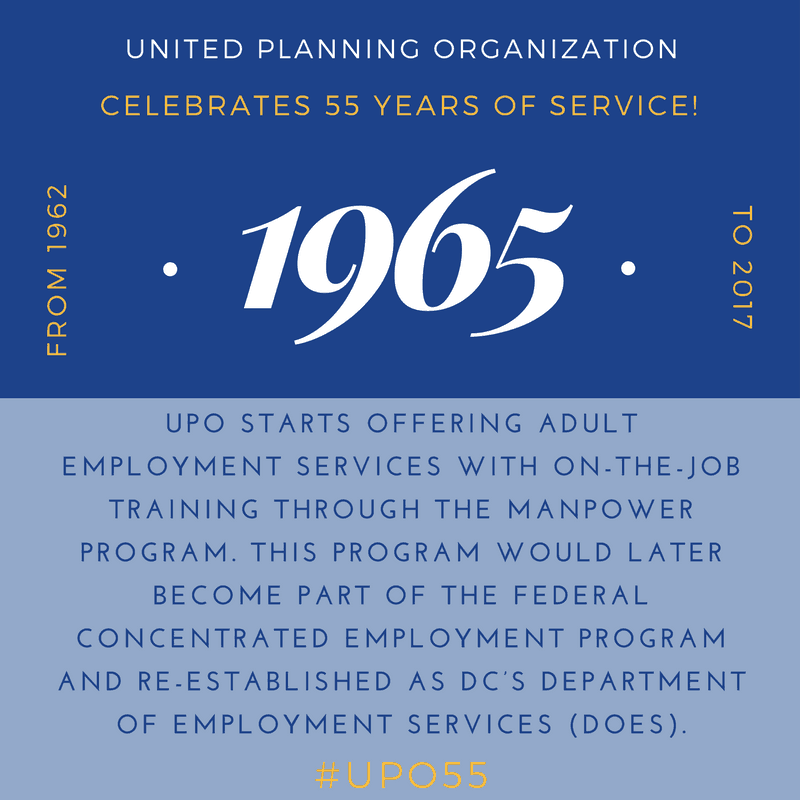 UPO is celebrating 55 years of service and accomplishments! 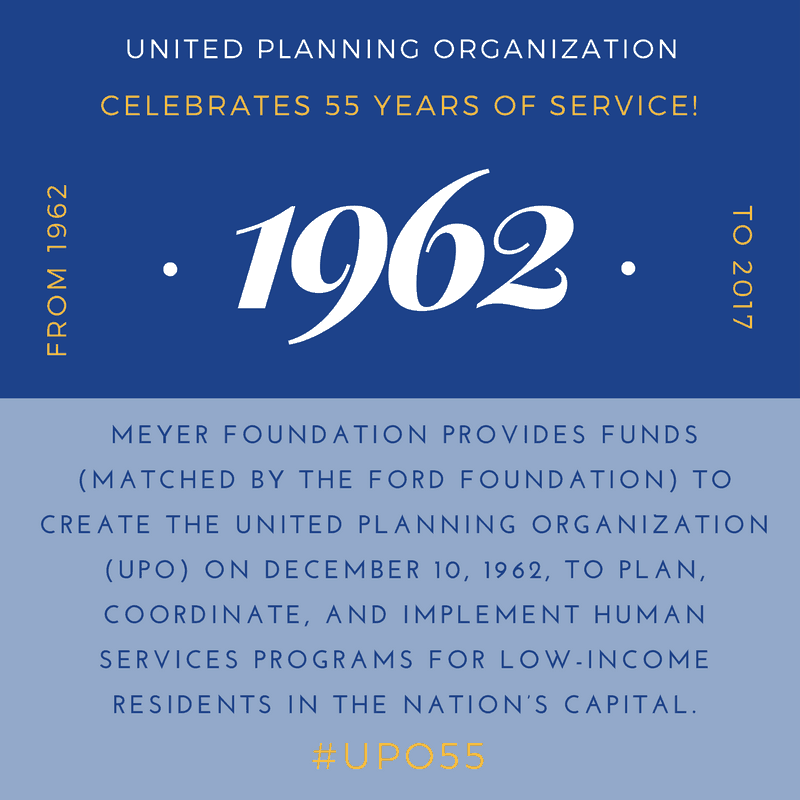 That’s more than five decades of helping create happier, healthier children, adults, and community. 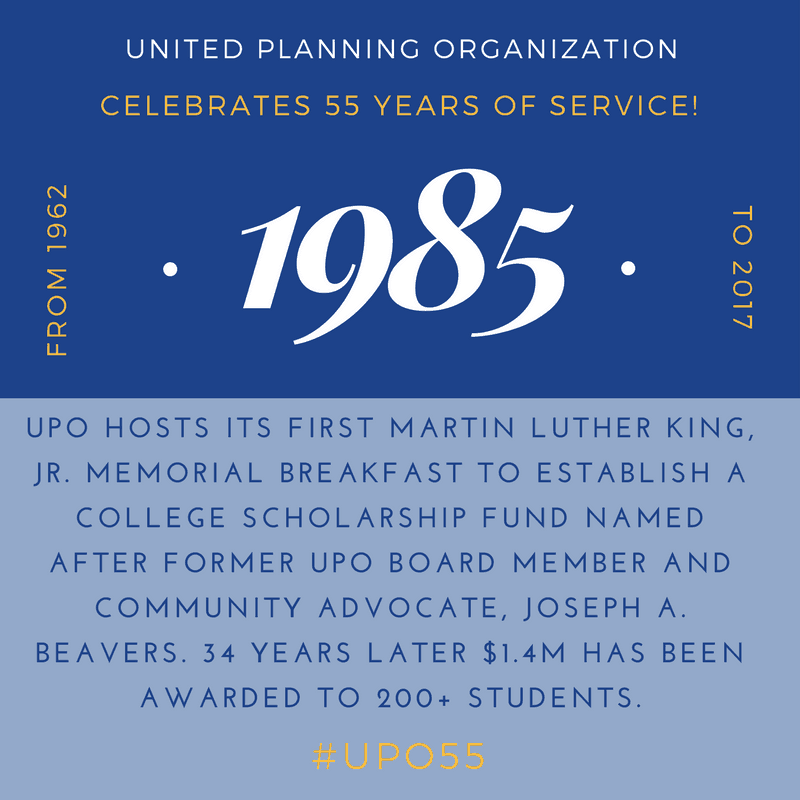 Whether you’re looking to improve your own life or support and encourage others, UPO is here to help start the journey. For more than half a century, UPO has been providing services and assistance to the low-income residents of Washington, DC — helping put them on the path to self-sufficiency and success! 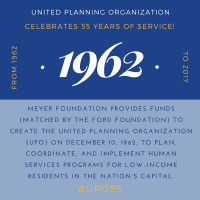 As we celebrate and reflect on 55 years of milestones and accomplishments, we take great pride in helping the members of our shared community thrive in creating futures filled with promise, potential, and possibility. 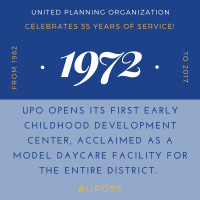 UPO’s journey began on December 10, 1962. 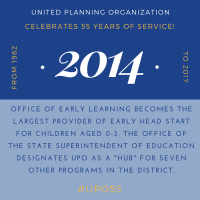 Come take a look through highlights and notable achievements from over the years. 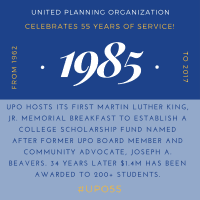 James G. Banks, UPO’s first director, addresses a group. 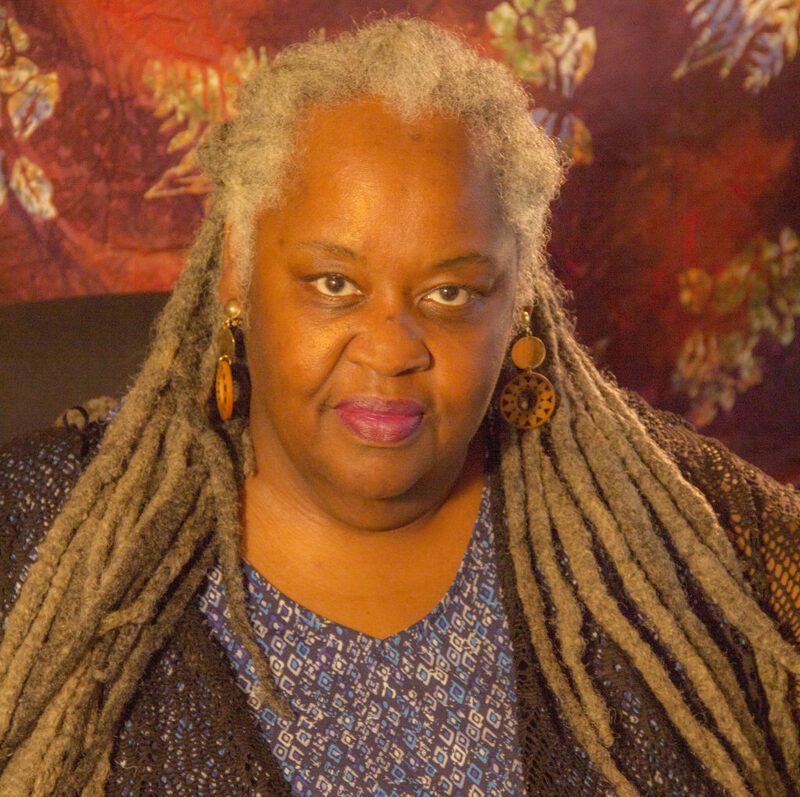 Photo by Northrup and courtesy of The Washington Post. 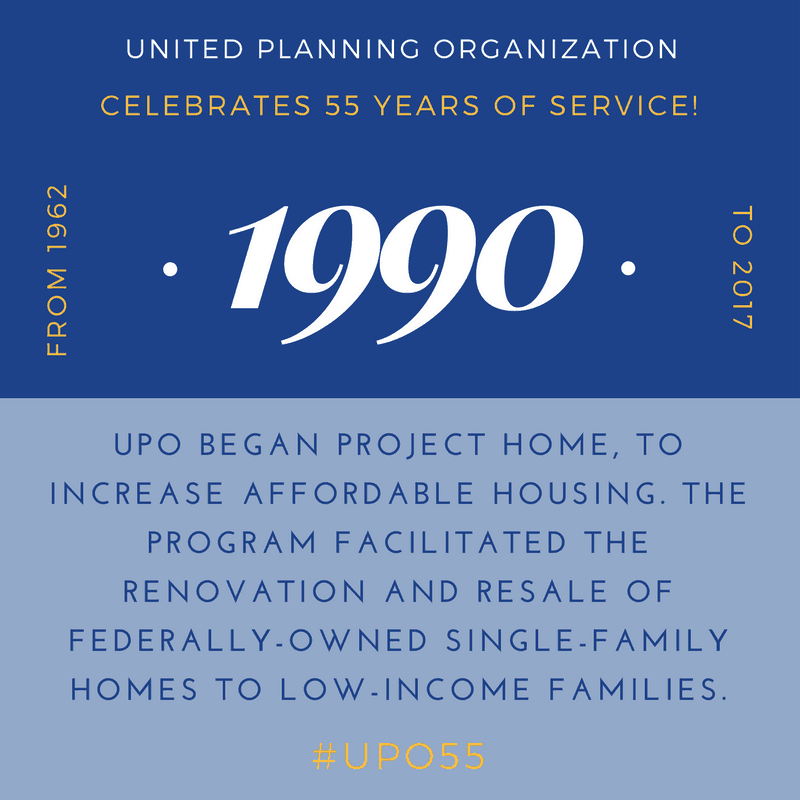 The United Planning Organization works with an array of agencies, organizations, and other partners throughout the Washington, DC metropolitan area to help our customers on their journey to opportunity and self-sufficiency. 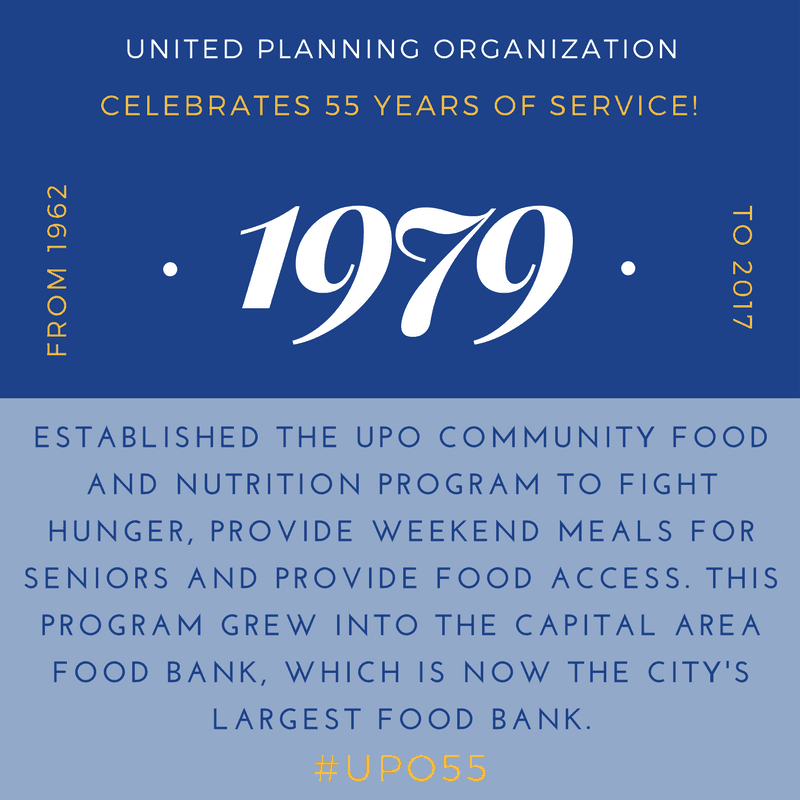 The United Planning Organization’s annual reports provide a snapshot of our impact and accomplishments in local DC communities. 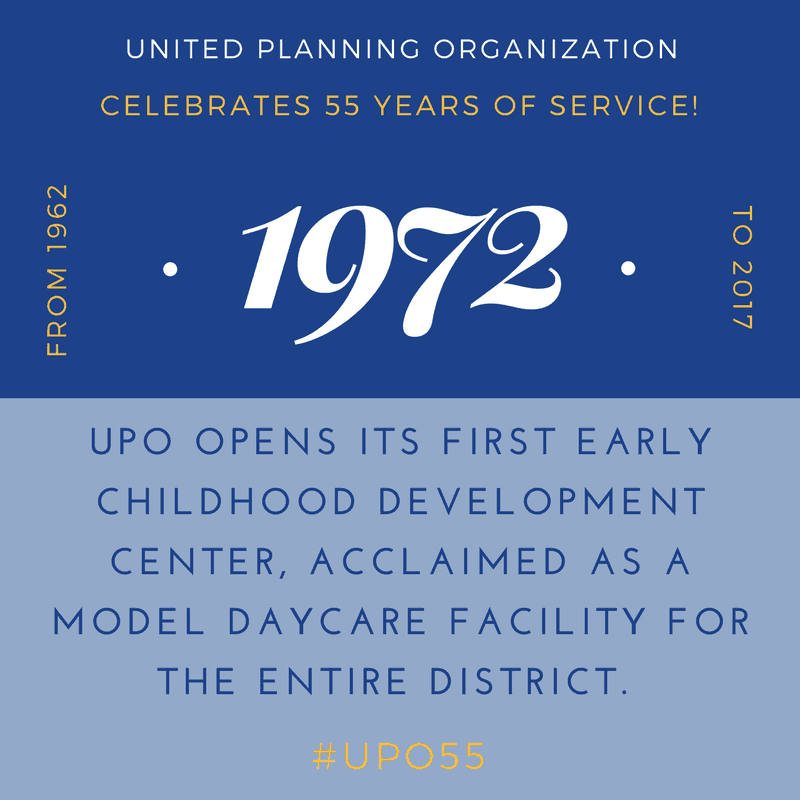 We share this information to keep UPO stakeholders, supporters, and other interested parties informed about our ongoing achievements and milestones. 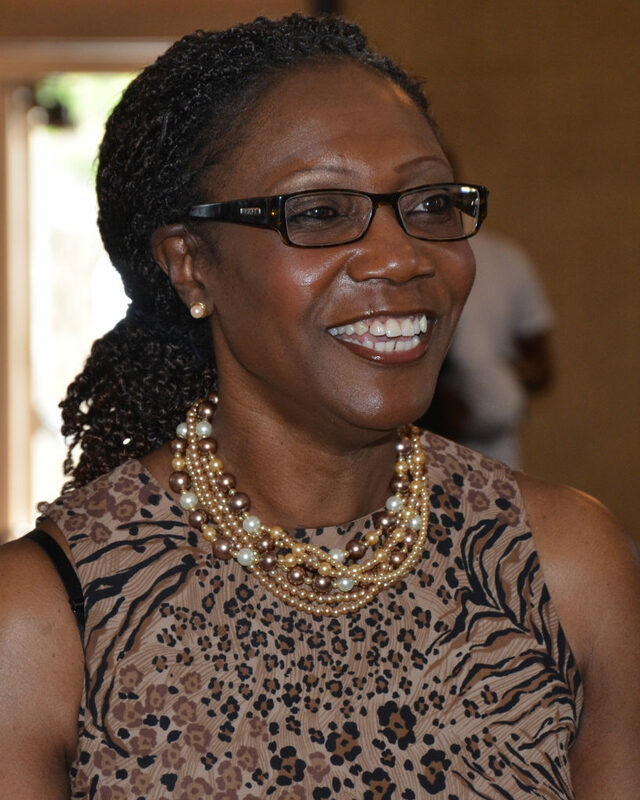 Seeking a spot to host a community event or activity? 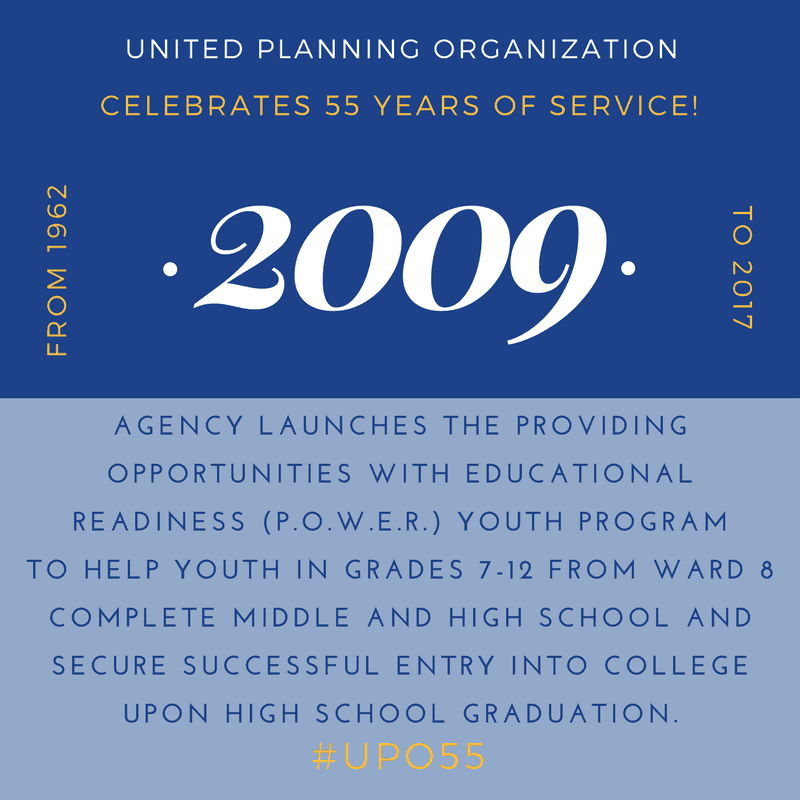 The United Planning Organization has facility space available at two of our community service centers in Southeast DC. 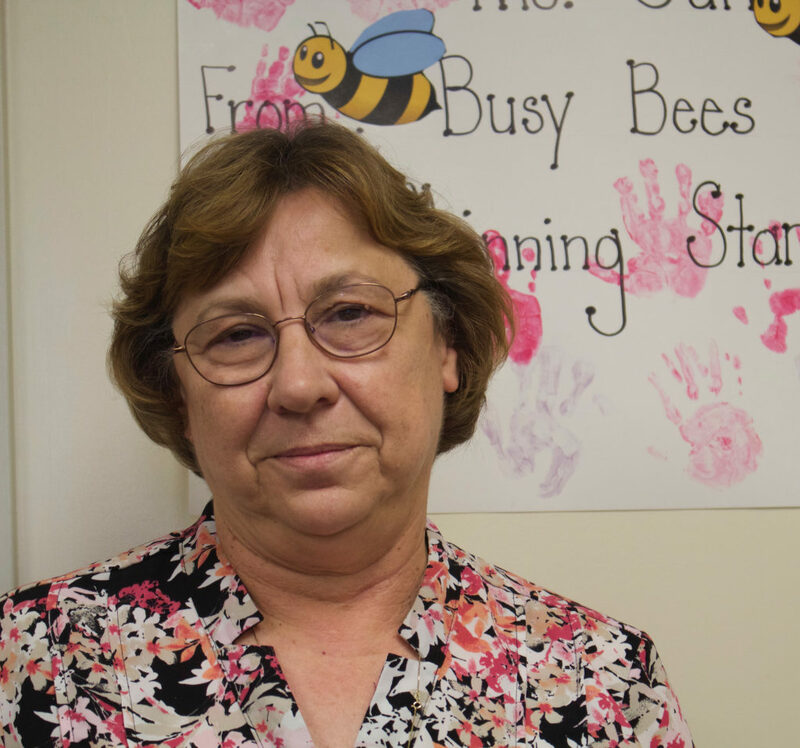 It takes a village to get those in need on the path to self-sufficiency and opportunity, and UPO could not offer our life changing programs without the contributions and assistance of our dedicated supporters. 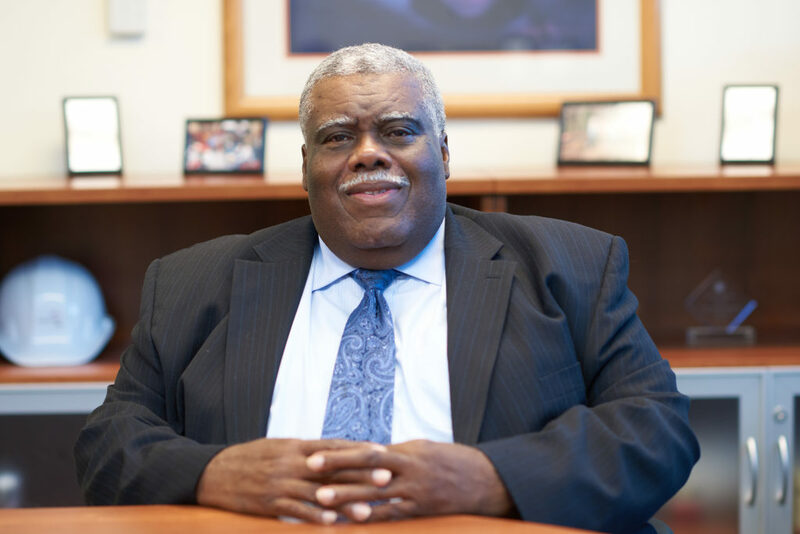 Please consider giving today to help keep transforming lives. 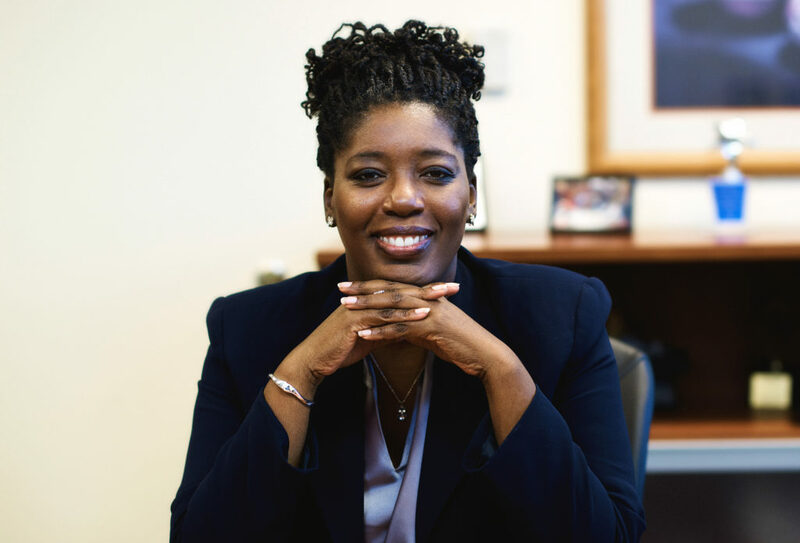 The UPO Inspire Foundation helps improve the impact of UPO by supporting the development of innovative new programs, offering services beyond the DC metropolitan area, and creating career opportunities for those who do not qualify for free support from UPO but still require financial assistance. For more information, please contact UPO Executive Vice President Andrea Thomas at 202-238-4694. 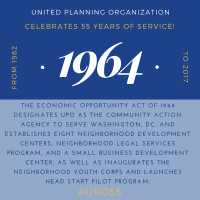 The UPO Community Development Corporation (CDC) helps families in need to access new housing, promotes job creation by providing financial assistance to small businesses, and offers management support services to other nonprofit organizations that serve low-income residents.